We serve another complementary food item which ends up the course of the meal. 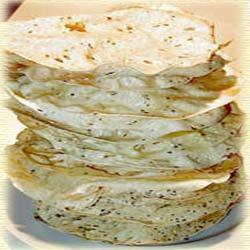 These Papad Live Counter are highly tasty and known for their different flavor and aroma. Using superior quality food materials these products are prepared which are further filled with spicy touch. These food items are liked by the kids as well as the adults.